Discourse is a free and open source community forum. Unlike other discussion forums, Discourse has a modern look and feel, it is also responsive. Discourse comes with many features such as community moderation, summarize topics and inline context. Discourse is available in more than 25 languages. Discourse also features real time notifications, an overlay editor, desktop notifications, file attachments and much more. You can also configure Discourse for social logins and single sign on. It is SEO friendly and comes with many plugins to extend its features. Discourse is used by many prominent companies for community forums like New Relic, Twitter developers forum etc. 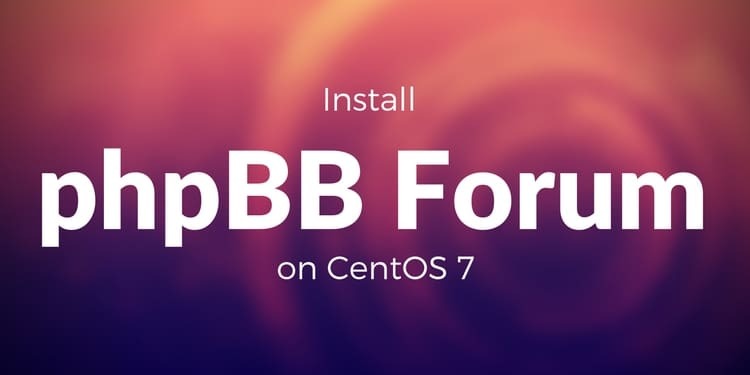 In this tutorial we will be installing Discourse community forum on CentOS 7 using Docker. To install Discourse Community Forum you will need a server or VPS with at least 1 GB RAM which is enough to serve small to moderate forum. 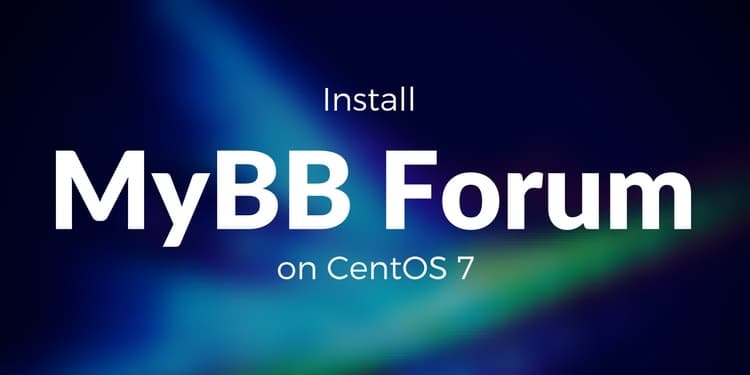 To follow this tutorial you will need a minimal CentOS 7 installation with sudo or root access on it. If you are logged in as non root user run sudo -i to switch to the root account. Additionally, you will also need a domain name or subdomain pointed towards your server. Now you will need to install git. Run the following command to do so. Discourse needs a 2GB Swap file if you have a VPS with 2GB RAM or less. You can skip this step if you have more than 2 GB RAM. Run the following command to check if you already have a swap file created. If you do not have a swap created, the command will not print any output. Now create a swap file of 2GB in root directory using following command. It will take few seconds to create the swap file. You will get following output. Once done, modify the file permissions so that the swap file is only readable to the root account using following command. Now tell the system to set up the swap space using following command. Now make the swap file permanent by editing /etc/fstab file in your favorite editor. If you don't have nano install, run yum -y install nano to install nano editor. Now add the following line at the end of the file. If you don't make the swap file permanent then your system will not use the swap file after reboot. Now tell the system to use the swap file using the following command. Now you can check if the swap file is mounted is created or not using following command. Change the swappiness value of your system to 10 using the following command. The swappiness value tells the system how often the system swaps data from memory to swap space. The above swappiness setting also restores if not made permanent. Edit /etc/sysctl.conf file using your favorite editor. Now add the following line at the end of the file. Another configuration you might want to change is the cache pressure. Run the following command to change the cache pressure to optimal value. The above swappiness setting also restores if not made permanent. Edit /etc/sysctl.conf file using your favorite editor. Add the following line to the end of file. You can now check if your swap file is used as memory using the following command. The output should include the swap memory as shown in the following output. 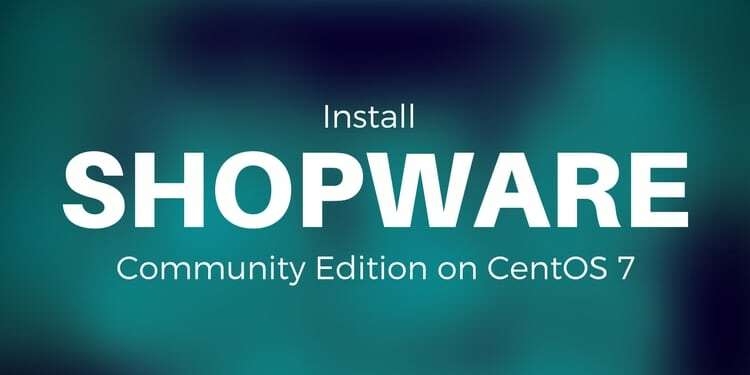 As we have the swap file created, we can proceed to the next step of installation. If you do not have wget installed, you can install it using yum -y install wget. The above command will detect your operating system and download and install the latest version of Docker in your system. Before using Docker, you will need to log out from current session and log back in again. Now start the docker service and enable it to start at boot time using following command. Once the docker is running, make a new directory for Discourse docker files using the following command. Now clone the Docker image of Discourse application using following command. Now switch to the newly created directory using following command. Now you will need to copy the template of configuration file so that we can use it. Run the following command for same. Now edit the configuration file using your favorite text editor. Uncomment it and change its value to 128MB if you have 1GB actual memory or 256MB if you have 2GB actual memory in your system. Next find the following line. Uncomment it and change the value of unicorn workers to 2 if you have 1GB actual memory or 3 or 4 if you have 2GB or more actual memory in your system. Change the value of discourse hostname to your domain name or subdomain. Change the email address to the admin email address. You can use more than one email address separated by comma. These email addresses will be made administrator upon initial signup. Next find the following lines. #DISCOURSE_SMTP_PASSWORD: pa$$word               # required, WARNING the char '#' in pw can cause problems! It is very important to provide the email configuration, otherwise your site may break. Users are also sent an email before creation of a new account. Provide the address to the SMTP server in DISCOURSE_SMTP_ADDRESS. Uncomment the line and change the port to the value on which your SMTP server is listening to. In most cases SMTP runs on either port 587 or 465 or 25. Next uncomment the lines for SMTP username and password and provide the appropriate values in it. You should also uncomment the DISCOURSE_SMTP_ENABLE_START_TLSline and leave the the value true if your SMTP server can be connected using TLS. If the SMTP server is running on unsecured connection than change its value to false. Generally an SMTP server is listening to port 587 or 465 connects on secured connection wheres 25 connects on unsecured connection. If you do not have mail server, you can create your own mail server using the instruction on How to setup an email server on CentOS 7. Once all the above inputs are provided, save the file and exit the editor. Now run the following command to bootstrap Discourse. The above process can take upto few minutes. Once the bootstrap process is completed, run the following command to start the Discourse application. The Discourse application will be successfully deployed on your server. You can access the application on the domain name you have provided in configuration. You will see following screen. Click on the Register button. In the next interface, select the email address which you have provided in configuration file. Provide an username and strong password. Click on the Register button again. The system will now send you an confirmation email. Once you confirm your email address. You fourm will start and you will see the following interface. You can login by clicking Login button in the right corner. You will see the administrator interface once logged in. You can now configure the forum how you like it. 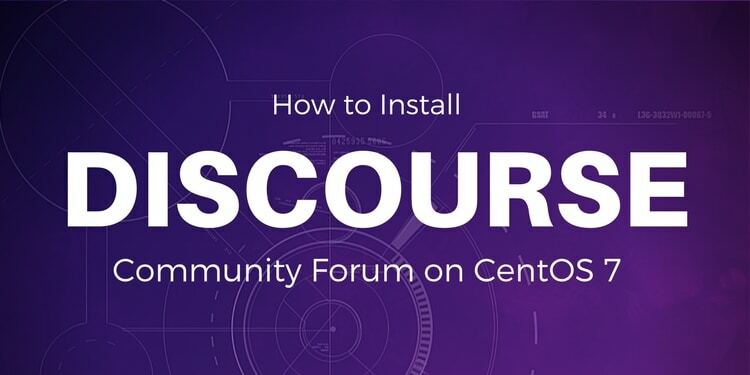 In this tutorial we have learned how to install Discourse community forum on CentOS 7 server. You can now successfully deploy the application and use it to power your own community.